Prepare the Crust: Place a rack in the center of the oven and preheat oven to 350°F. Grease a 24-cup mini muffin tin. 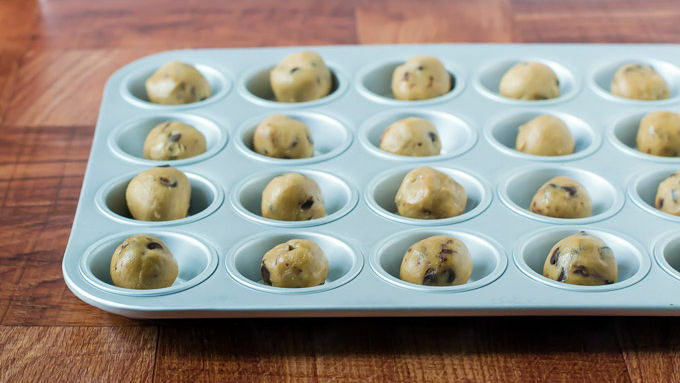 Divide chocolate chip cookie dough into 24 pieces and roll each piece into a ball. 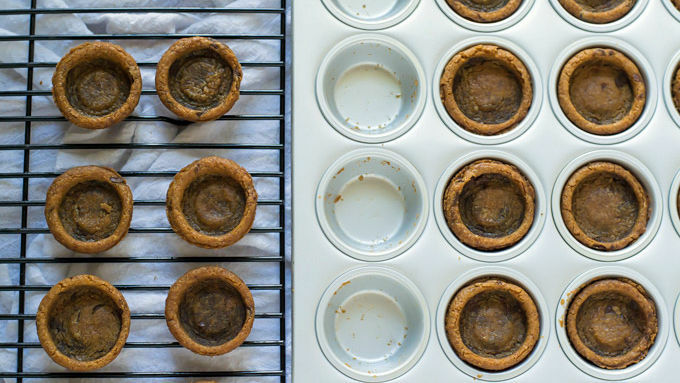 Place dough in prepared muffin tin cups. Spoon the French silk pie filling into each of the cooled cookie cups. Refrigerate until set, about 30 minutes. Serve topped with whipped cream and chocolate shavings. 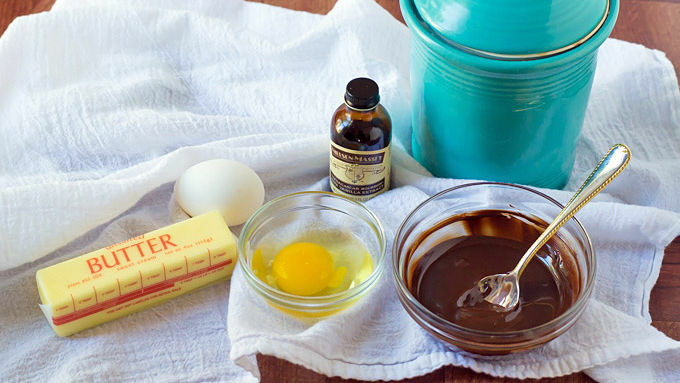 Be sure to whip the French silk batter for a full 5 minutes after each egg is added. It’s essential for the batter’s smoothness and airiness. These decadent pies are mini, which basically means you can eat two, or three, or more! As far as I can tell, there are two types of people in the world: Those who find it necessary to keep an emergency stash of chocolate in their top desk drawer and those who do not. I was a long-time a member of group chocolate, mostly because I have an “emergency” every morning at 10:01 a.m. (Actually, it happens at 9:45, but I force myself to wait until there are at least four digits on the clock before peeling back the foil.) Ever since baking these Mini French Silk Cookie Pies, however, I’ve realized that there is a third group of people out there, and I’m in it: People who bring mini cookie pies to the office and accidentally eat them for a morning snack. I consider my new status an upgrade. 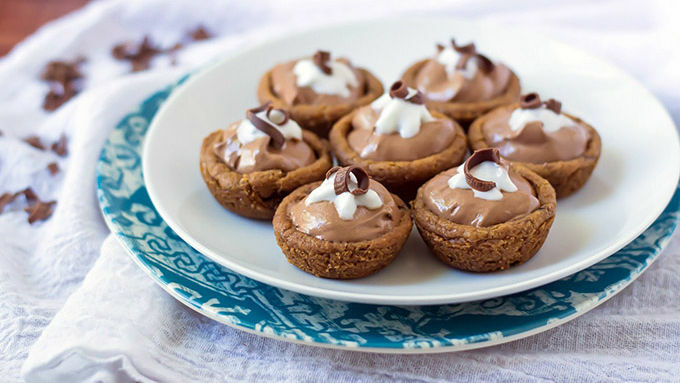 Mini French Silk Cookie Pies are everything that is wonderful about chocolate and baking and (dare I say it?) life. They are dangerously easy to make, decadent to taste, and will make you feel like a blue-ribbon chocolate champion. Plus, they are just so darn cute! When making the filling be sure to whip the French silk batter for a full 5 minutes after each egg is added. It’s essential for the batter’s smoothness and airiness! 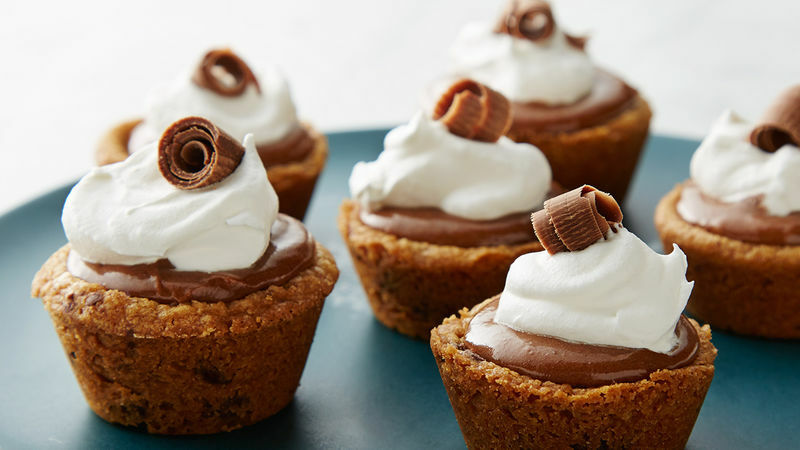 A bit of whipped cream, a touch of chocolate curl, and Mini French Silk Cookie Pies are yours to enjoy. They make a perfect party dessert or potluck addition, and I especially recommend them at 10:01 a.m. You know, in case of emergency.